Providers are being asked for their experiences of the controversial Baker clause, amid signs that schools are failing in their legal duty to open their doors to the FE sector. The survey, conducted by the AELP at the request of the Department for Education, asks providers about the impact of the legislation, which came into effect in January. AELP boss Mark Dawe described “reports from around the country” that “some schools aren’t aware of the new statutory requirements or are just choosing to ignore them”. 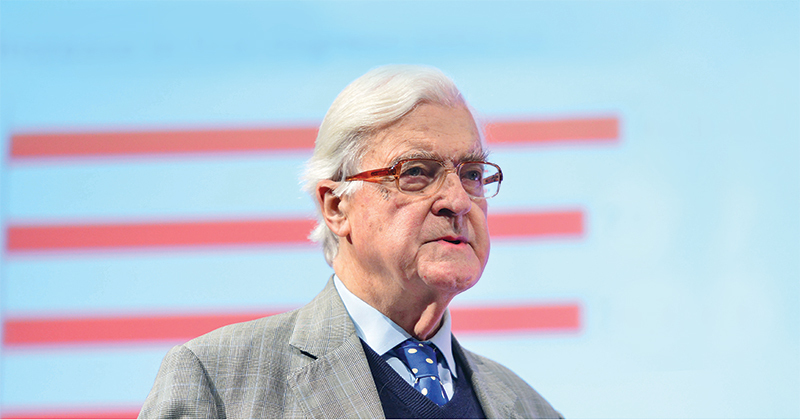 The Baker clause, so called because it was proposed by the former education secretary Lord Kenneth Baker (pictured above), was introduced as part of the Technical and FE Act 2017. It requires schools to allow training providers and colleges the chance to speak to every pupil between the ages of 13 and 18 about technical qualifications and apprenticeships. The clause, which also requires schools to publish a policy statement on their websites, came into effect on January 2. However, there are warning signs that schools are failing in their legal duty. An FE Week investigation in late January found that just two of the 10 largest multi-academy trusts in England were fully compliant with the clause. Writing for FE Week in March, the skills minister Anne Milton urged providers to “let me know” if they faced problems with schools not giving them access. “As a result of the new duty, I expect to see schools setting up careers events, assemblies and options evenings so that providers can talk to pupils about what they offer and what it is like to learn in a different environment,” she wrote. When Lord Baker proposed the changes in February last year, he acknowledged they were likely to be “met with great hostility in every school in the country”. Providers have until 5pm on June 12 to complete the survey. Click here to complete the survey.